Out on iTunes: http://bit.ly/19RVfNb Out on Beatport:	http://btprt.dj/1459XBj Out on Spotify:	http://spoti.fi/17pLzeC Out on Amazon:	http://amzn.to/14J3OcD Out on Armadamusicshop.com: http://bit.ly/NoSaintOutOfMe_Shop Available on all online music services on August 30th Follow us: http://www.facebook.com/armadamusic https://www.facebook.com/OrjanMusic http://www.armadamusic.com http://www.twitter.com/armada https://twitter.com/orjan_nilsen http://armadamusic.com/googleplus A significant sound, unfolding into 13 originals. An artist album, setting forth something truly unique. For two years, the world has been waiting. And in the summer of 2013, Orjan Nilsen finally hears their call. The #32 DJ in the world and Norwegian studio wizard proudly presents his second artist album. 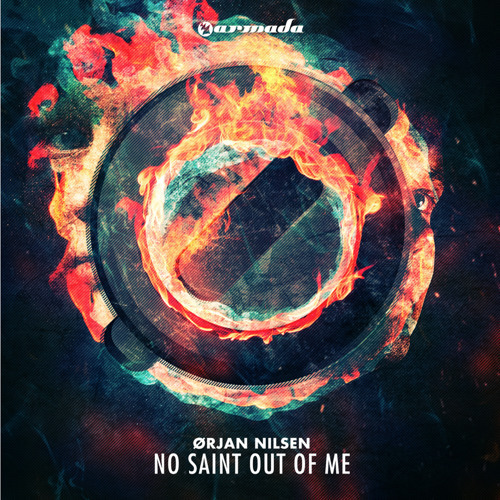 Balancing the power of instinct with the endless options of play, Orjan Nilsen brings us: 'No Saint Out Of Me'. Including collaborations with Adam Young, Christina Novelli, Senadee, Jonathan Mendelsohn and Natalie Peris, as well as mind-blowing instrumentals, 'No Saint Out Of Me' moves. Two years in the making, it is the long-awaited successor to his first, the 2011 debut album 'In My Opinion'. As a true artist befits, he proceeded his musical journey. Stretching the boundaries of his own imagination, Ørjan Nilsen discovered many new identities to be part of his own. And so, he started an explore them. Ørjan:"I think it was about time I showed another side of myself, a side I've been wanting to unleash for quite some time now! I would say that 98% of the album can be played live, which is quite different from the last album I had." What hasn't changed, is Ørjan's infinite blend of styles. Pushing trance, techno, electro, pop and house, 'No Saint Out Of Me' takes an open mind. Through the endless diversity of tracks like 'Knobtwister', 'Mafioso', vocal beauties 'In The Air', 'Hurricane', 'Apart', 'Hands' and title-track 'No Saint Out Of Me', it tells you a story of liveliness, growth and endless creativity. And that's exactly what Ørjan Nilsen is about. what a lot eh pish! A.R.D.I..Boom!! im vibing with it, oh yeah!! this one is something else orjan !!!!! I do quite like this. Now for the rest.